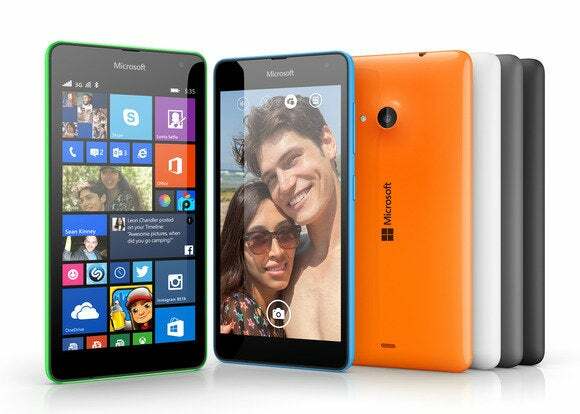 Users of Lumia Windows Phone 8 handsets won't be left behind when Windows 10 launches next year. Microsoft has confirmed via the Lumia Twitter account that all Windows Phone 8 devices under the Lumia (formerly Nokia) brand will get the upgrade. The company didn't give any details on timing or carrier plans. For that matter, the specifics on Windows 10 for phones and tablets are still pretty hazy. Microsoft has been previewing Windows 10 on laptops, desktops, and hybrid devices with a focus on enterprise users, but says it won't talk consumer details until next year. We do know that Windows 10 will span phones, tablets, traditional PCs and gigantic touch displays, and we're likely to see many more shared features across both large and small devices. In any case, at least current Lumia users have some assurance that their devices won't be rendered obsolete within a year. And while Microsoft didn't make any promises about non-Lumia Windows Phone 8 handsets, such as those from HTC and Samsung, it'd be surprising if third-party manufacturers weren't also on board. The story behind the story: Windows Phone users have been burned by the upgrade cycle before. When Microsoft launched Windows Phone 8 in 2012, it switched to a different kernel that prevented Windows Phone 7 users from upgrading. To make matters worse, apps for Windows Phone 8 are not backwards compatible, so Windows Phone 7 users got stuck with a stale ecosystem that was already anemic to begin with. The subtext to Microsoft's message is that users won't have to go through that ordeal again.